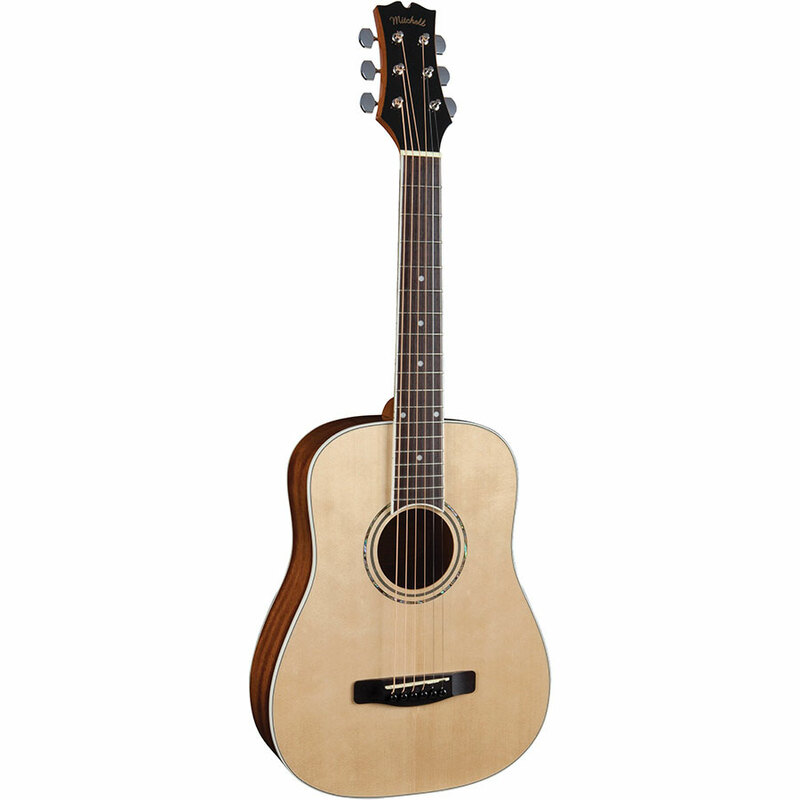 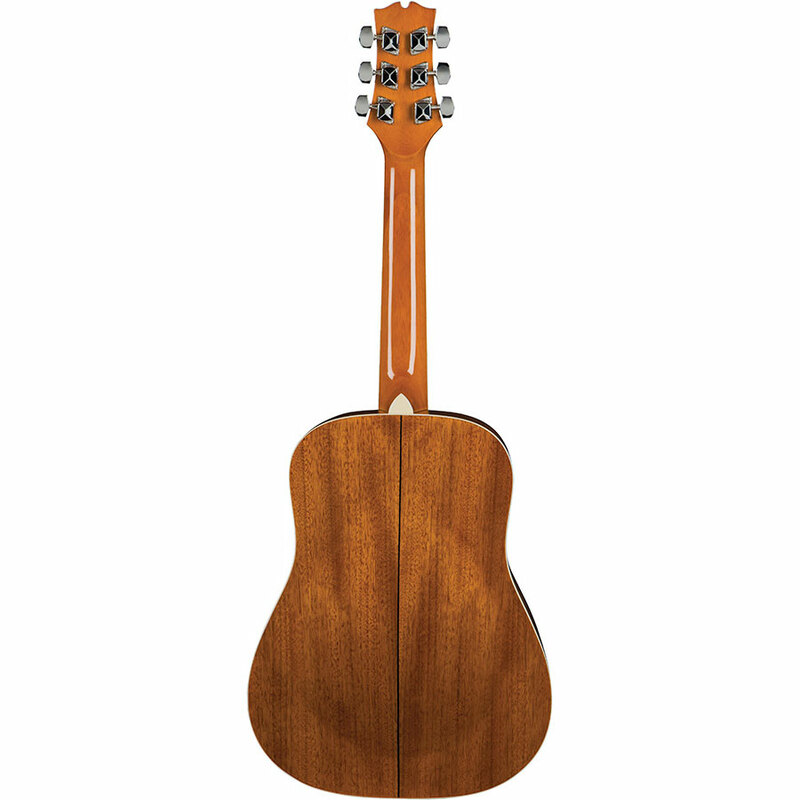 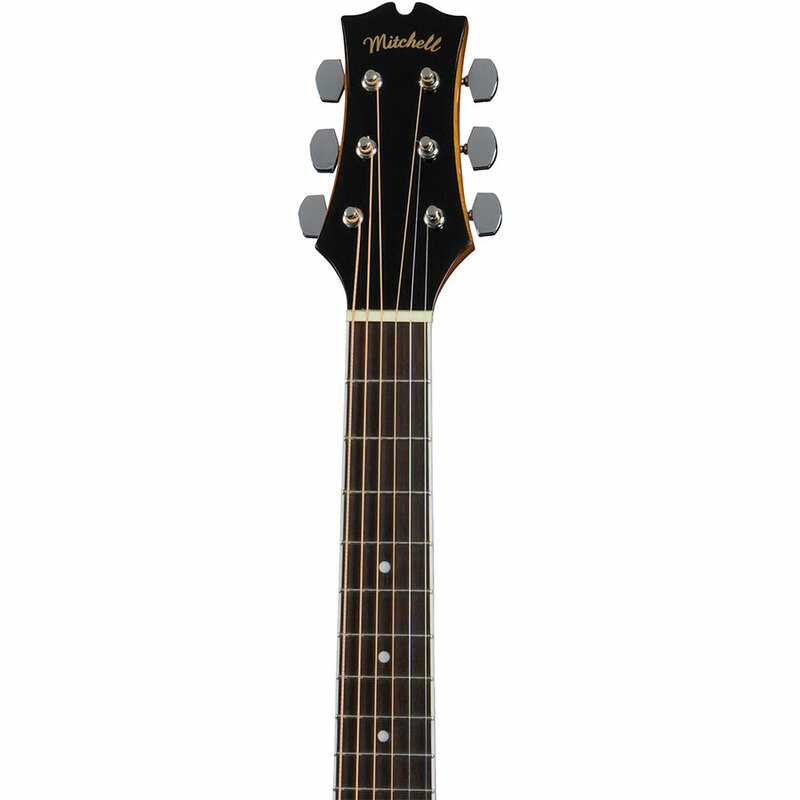 The Mitchell MDJ10 is a 3/4 scale travel guitar that’s also a perfect fit for musicians with smaller hands. 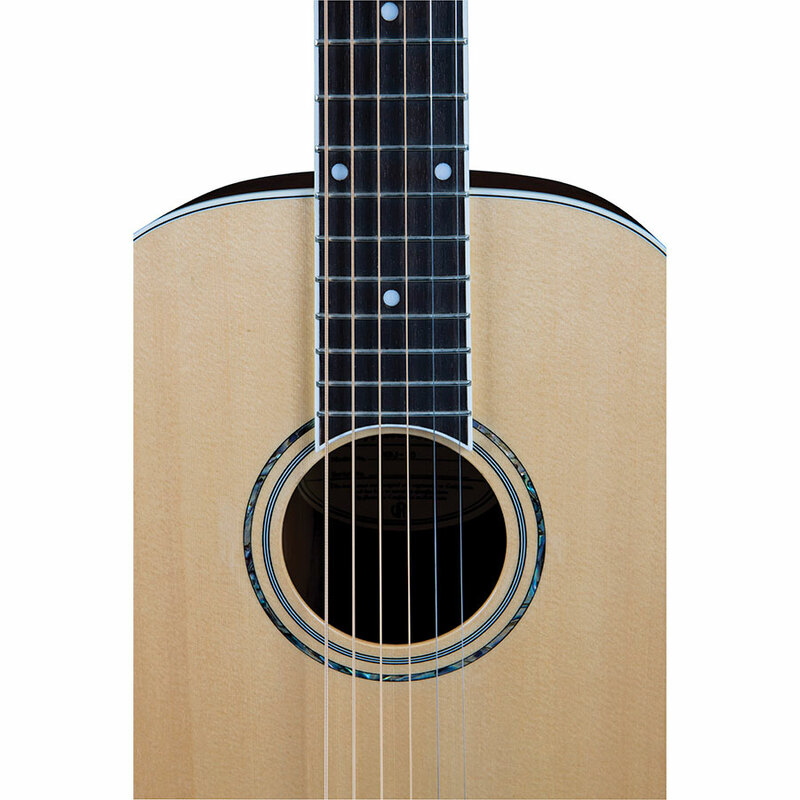 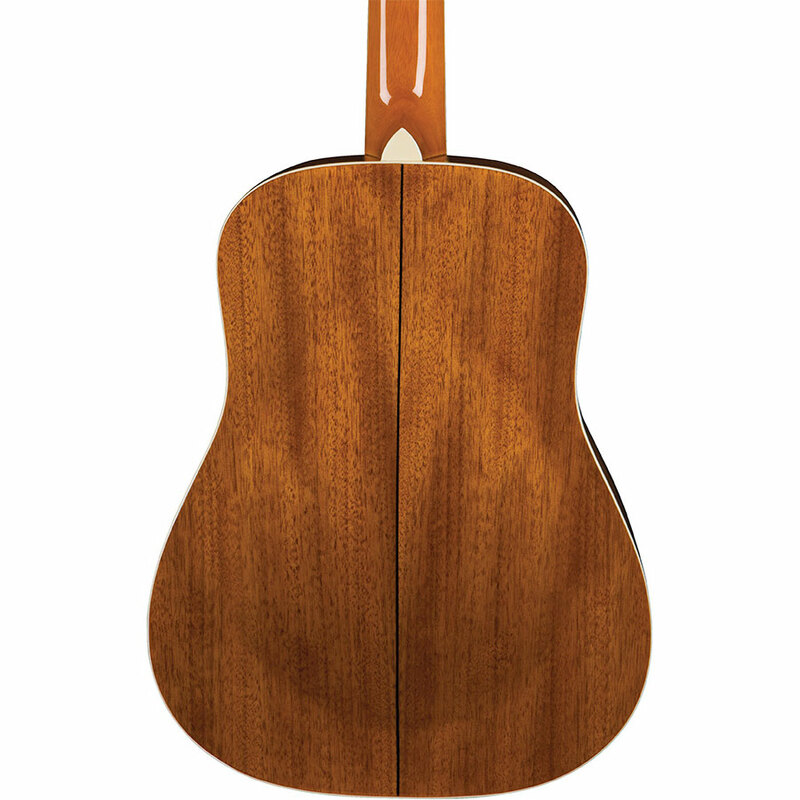 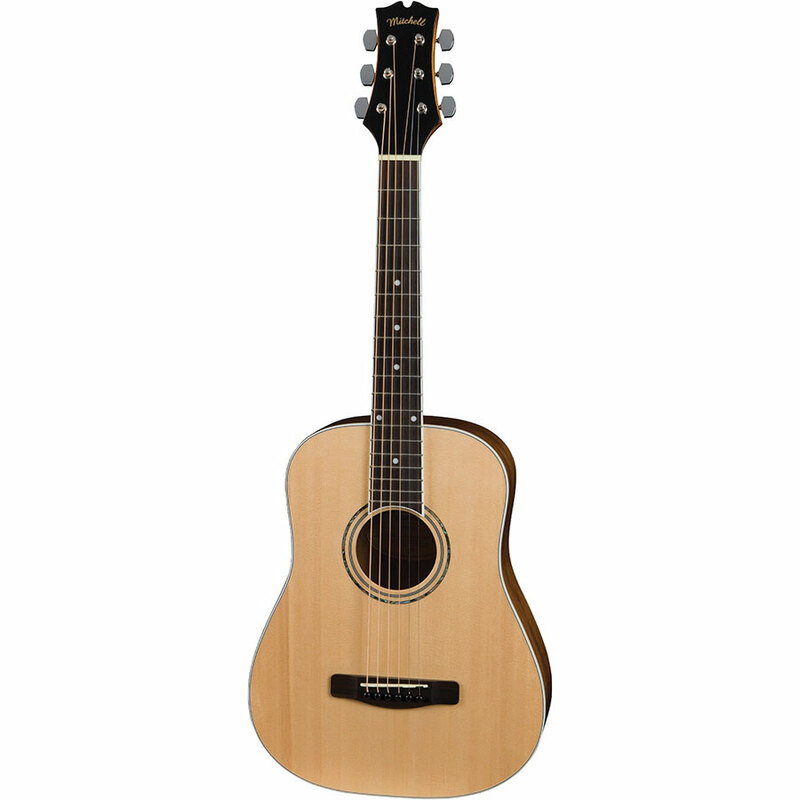 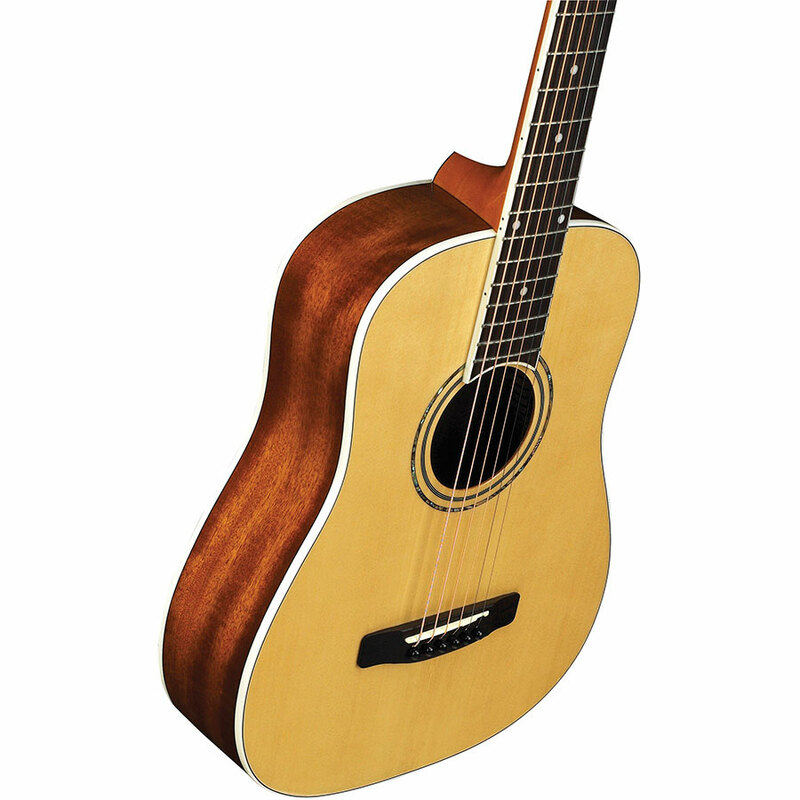 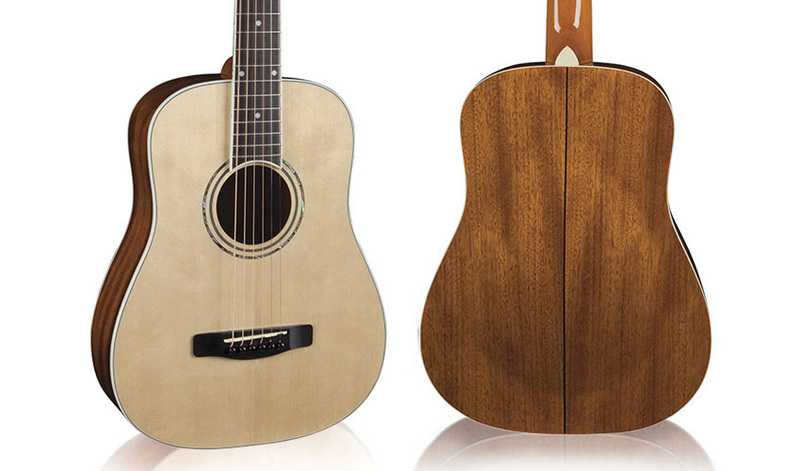 The MDJ10 features a genuine solid Sitka Spruce top and mahogany back and sides for remarkably full volume. 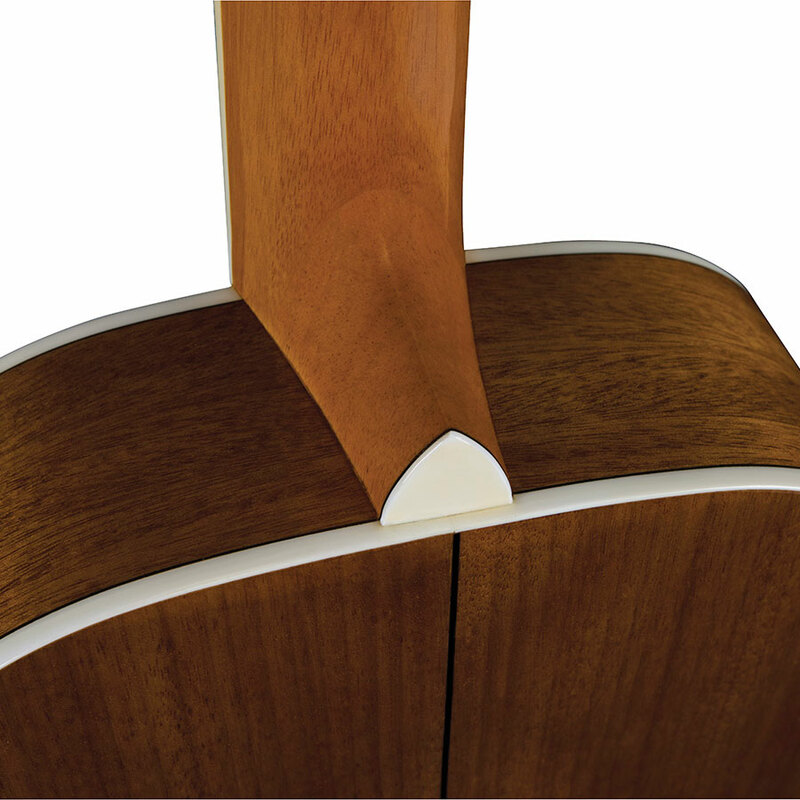 Finishing touches like a real abalone rosette and body/neck make ensure it looks as beautiful as it sounds. 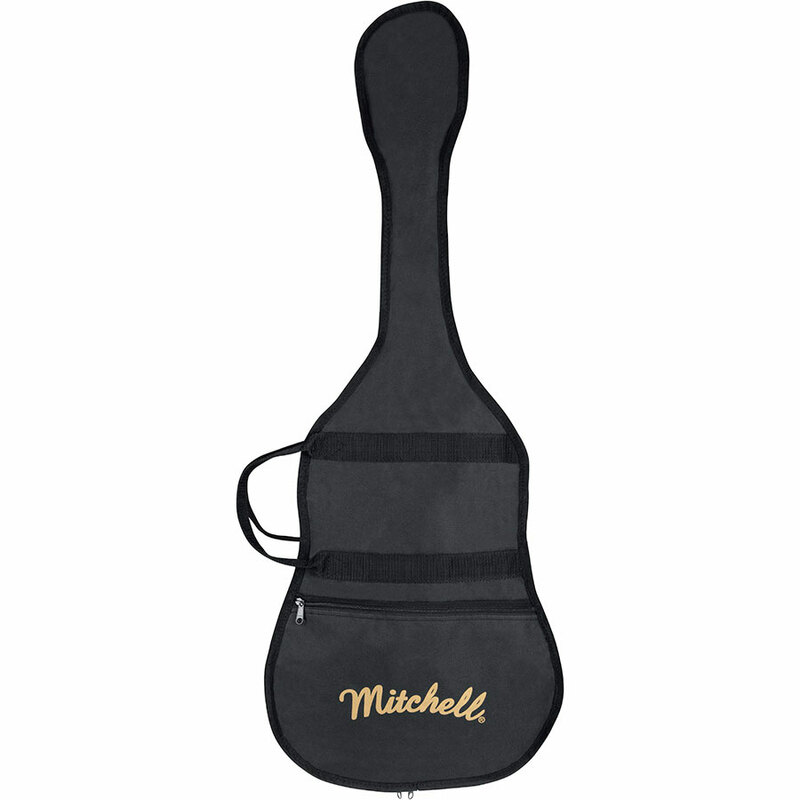 Take it anywhere with the included gig bag.